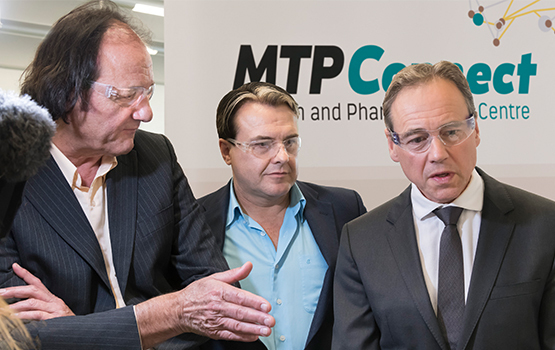 The Federal government has announced around $300,000 in funding to Biotech Resources in partnership with the Monash Centre for Biospectroscopy to combat sepsis – one of the leading causes of hospital deaths in Australia. US grants the Centre's Associate Professor Bayden Wood and his team a patent for developing a diagnostic technique that could deliver a more accurate test for malaria. The patent is the first of its kind to utilise spectroscopy to quantify pathogens in blood. Got a problem that requires spectroscopic analysis solutions? Contact one of our directors Bayden Wood to talk about a joint project. Authorised by: Chief Marketing Officer, Strategic Marketing and Communications. Maintained by: Monash Centre for Biospectroscopy Webmaster Team. Last updated: Apr 2018.